There’s a lot of talk about AC WiFi these days; what was a new-fangled WiFi technology back in 2012 is now pretty commonplace but if you don’t know what it means, you may not know that a better type of WiFi is right under your nose! The type of WiFi most of us are used to (whether we knew its name or not) is 2.4GHz N WiFi. AC WiFi is a newer type of WiFi that broadcasts on a 5GHz frequency band. More bandwidth means more speed for better home networking performance with less signal interference, which is great for high-density living areas like apartment buildings! In comparison to N WiFi, AC WiFi is faster but it can only operate over a shorter distance. However, that “shorter distance” is a range of 30 metres, so for most Aussie home users, this is more than enough distance! Not sure if that applies to your devices? Have a read of this handy guide and we’ll help you figure it out. You’ll be clued in about AC WiFi in no time! Can my router broadcast AC WiFi? If it’s not immediately apparent in the summary information, then check out the full table of technical specifications. The tech specs may be a little intimidating because they’ll be written in the most technical way possible, e.g. “IEE 8012.11a/n/ac 5GHz” – just remember that the key is in the “AC”! You can find out more about our past and present modem routers on iiHelp. If you can’t find any mention of AC WiFi for your router’s make and model, then it most likely doesn’t have it. When it’s time to get a new router (for example, most people require a new router when they upgrade to NBN™) keep AC WiFi in mind when you’re choosing your device! Can my device connect to AC WiFi? If you’re not sure about your make and model of smartphone or tablet, run a Google search for the make and model along with “tech specs” and you should find information about your phone’s WiFi connectivity on the manufacturer or retailer’s website. Desktop computers and laptops can be a little trickier because they typically get upgraded less frequently than our phones, and many computers have an older N WiFi adaptor installed by default. If you’re not sure which type of WiFi adaptor your computer or laptop has, follow this guide for Windows and Mac to find out. If it turns out your computer or laptop doesn’t have an AC WiFi adaptor, it can be relatively easy and inexpensive to fix. You can start by making an enquiry at your local computer shop about getting an AC WiFi adaptor installed. Alternatively, if you have a spare USB port on your device, you can purchase a USB plugin AC WiFi adaptor for fuss-free connectivity. How do I connect to AC WiFi? Once you’ve made sure that your router can broadcast AC WiFi and your device(s) can connect to the network, it’s just a matter of putting it all into action. The good news is that routers typically broadcast a WiFi network by default so you should be able to connect without even needing to change your router settings. If you’re a little rusty on how to join WiFi networks on your computer, laptop, smartphone or tablet, our Connecting to a WiFi Network guide will walk you through it. That’s all there is to it! If you want to get fancy and start changing the name and password for your WiFi network, that’s when you’ll need to start consulting the user manual for your router. You can find guides for all iiNet modem routers on iiHelp. What are the health risks of 5G compared to 4G or 3G for that matter? Whilst we aren’t medical professionals, there are no health risks, as far as we know. Does this article refer to what is called the “5G network”? If I can connect to this network will I need an NBN connection? 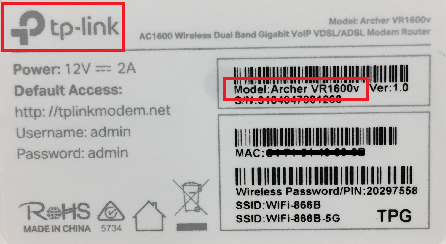 My modem has the code TGiiNet-1 and there is no obvious reference to AC1600 Wireless. Will I need a different modem? This article does not refer to the 5G network. Instead, this article refers to AC Wi-Fi: a type of wireless network that can be used for faster wireless networking within the home, allowing all AC-capable devices (like smartphones, laptops, tablets etc) to connect to the modem at faster speeds. The TG-1 is not AC Wi-Fi equipped, however, the TG-789 modem is AC Wi-Fi equipped. 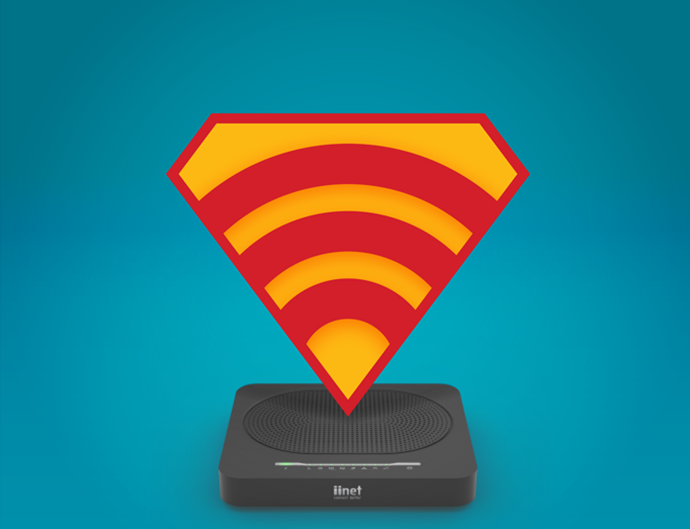 If you have devices at home that can support AC WiFi (we’d advise checking each device first), then you can choose to upgrade to an AC Wi-Fi capable modem. If not, there’s no benefit in changing modem’s. The 5ghz on my router is ON. Do I need to turn off the 2.4ghz? Nope! You’re fine to leave this as it is. Recently changed from iinettNBN to iinet fttb that promised Ultra broadband with speed of 90Mbps. Have done an iinet speed test that shows a speed of 29.8Mbps. Seems quite a difference. I have in a box a CISCO Linksys E4200 router in a box. Using Bob Lite at the moment. Is the E4200 an AC WiFi compatible? I have a Budii lite how do I set up AC wireless, it will not let me enable while I have older N enabled, I need to run both at the same time, instructions are not very clear. You can run two wireless networks with the Budii Lite (enabling a second SSID) and the manual will show you how to do this. I have a BoBLight Wireless VOIP modem (provided by iinet) but I can’t see AC anywhere and it’s not in your manual. Any help would be handy. Cheers for the comment, Scott! The BoB Lite is a bit of an older piece of hardware and as a result is limited to N-Wireless certification. AC Wireless certification was first introduced in our hardware from Budii Lite and carried through to our current TG-789. There are of course many options for new hardware and re-contracting incentives to waive costs. So I need to buy a new modem is what you’re saying? Hi Scott. If you were after a modem capable of AC WiFi you have the option of purchasing one, or alternatively you may be eligible to re-contract your service and be provided with one of our newer modems that have this feature. Our billing team on 13 22 58 can look into this for you, or you’re welcome to send us your contact details (iiOnline@iinet.net.au) and I can arrange for a representative to give you a call to discuss this further. I just heard Wi-Fi 6 is becoming available. So will this be available with iinet soon?? The current 802.11ac standard is otherwise known as Wi-Fi 5. Wi-Fi 6 is the next evolution of Wi-Fi and will start appearing on devices in the coming year or two. No idea on when it will be available on devices we retail though. How do I connect to AC wifi? Is there any settings i must change? Or will it automatically connect? You’ll need to ensure that AC Wireless is enabled in your modem, so have a look at your modem manual or quick start guide for more information. Perfect and very timely as we’re approaching NBN installation in our area and will need to upgrade the modem. Well done and thank you. I have a new OLED TV should I use the 5G option for it as I am having trouble with its speed if viewing a program on say abc iview & I just get the spinning ball,in the end I have to use screen mirroring through the Apple TV device as to get connected through the TV is hopeless? We’d recommend having a look at the TV manual first. Some smart TV’s come with an ethernet port, so you can plug it directly into your modem. This is often a better option than Wi-Fi, so if the modem is close enough, consider this as an alternative. Although i applaud you for educational articles like this. You’ve really made this confusing for most customers to understand by calling this ‘5g’ and ‘wifi ac’. Quite rightly customers will confuse this with celluar technology of 2G,4G,5G they are used to hearing mobile phone providers talk about. If you just called it older ‘2.4ghz wifi’ and newer faster ‘5ghz wifi’, it would have been a hell of a lot easier for a non IT audience to to follow. Sadly the Fetch Mighty is not available as a rental option at this time, but if this changes, we’ll be sure to make some noise about it! 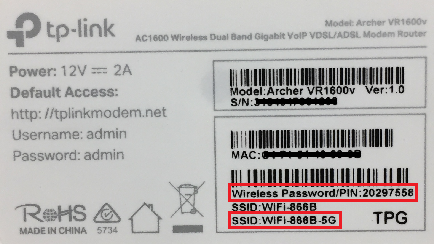 When I see my router, say TP-Link TD-W8980 without showing AC WIFI logo anywhere, but do indicates dual band (2.4GHZ and 5GHZ), has it already meant it has AC WIFI build in? This is correct – if its dual band, it has AC Wi-Fi built in. I have a NetComm NB600 (NB16WV) wireless modem connected to NBN @ 50mbs. Will I see an improvement in wireless connectivity in my house if I move to a new iinet AC wireless modem? Which would you recommend? Whilst we’re delighted with the performance of out TG-789 modem and its dual band Wi-Fi, ultimately, the choice is yours to make. AC Wi-Fi does increase wireless speeds but there are also many variables that come into play with Wi-Fi. If your Wi-Fi at home isn’t working as intended, try the guide first! As much as we’d love to sell you a new modem, why spend money when you don’t need to? We have a Samsung TV on our wifi network. Do I need to make any changes to its setup? No, you shouldn’t need to make any changes at all for this. Could you advise if my fetch TV mighty, purchased thru iiNet in December last year will connect via AC WiFi? I had a budii lite but the 5ghz band was useless. I could only get a signal from it if I was within a metre of the modem. And even then it would drop down to 2.4 ghz almost immediately. But then I got rid of the netphone because it was always dropping calls, so I didn’t need it anymore and got an ASUS DSL AC68U modem and the change in Wi-Fi and internet speed was phenomenal. However now that FTTN is coming next month to my street, we have to change from PSTN phone to VOIP and thus have had to order a new iinet modem, I’m hoping that the 5ghz AC wireless on this TG-789 will be a lot better than what that useless budii lite was, otherwise it’ll go in the shed with all the boxes of hardly used ISP supplied modems. The reviews on whirlpool don’t fill me with much confidence to be honest. I realise that you have to keep to cheap modems if you want to provide them for free to compete with other ISPs but can you influence your superiors to consider having an option to pay a top up for a top quality modem, or at least offer an option of a pre-configured ATA instead of a modem under contract to those bringing their own modems that don’t have voip ports?